It is common knowledge that asteroids are small planets or planetoids revolving around the sun in Kepler Orbits. They are bigger than meteoroids, but smaller than dwarf planets. So far, there are more than 620,000 known asteroids in the solar system, even though their actual number probably amounts to millions. One of these small planets, asteroid 788, has now been named after Baroque church musician, organist and composer Johann Christian Schieferdecker (1679 – 1732). 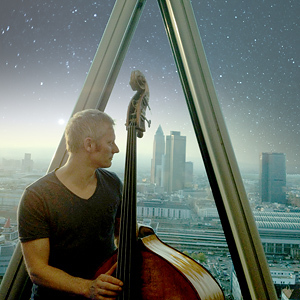 Johann Christian Schieferdecker also happens to be the great-grandfather of Nuremberg-born and Cologne-based composer, band leader and jazz bassist Markus Schieferdecker, who aptly named his new project ASTEROID 788.